Greekislands.gr - sea tickets for all Greece Ferries - Routes, Schedules, Fares, Connections, Availability - Online Booking - Sea tickets to Greece from Italy - Ancona, Bari, Brindisi, Trieste & Venice. - Sea tickets to Greece from Turkey - Ayvalik, Bodrum, Cesme, Marmaris, Datca, Dikili, Fethiye, Kusandasi. Cruises, Flights, Car Rental, Hotels, Excursions, Yachting - Reservations and Ticketing. Heraklion (Crete), Santorini, Ios, Paros, Naxos, Mykonos, Tinos, Syros, Andros, Skiathos, Thessaloniki. Mykonos, Paros, Naxos, Ios, Santorini, Heraklion (Crete). - Piraeus (Athens), Sifnos, Milos, Folegandros, Santorini, Ios, Naxos, Mykonos. - Piraeus (Athens), Paros, Naxos, Mykonos, Tinos, Rafina (Athens), Andros. Piraeus (Athens), Santorini, Ios, Paros, Naxos, Syros, Mykonos, Ikaria, Samos, Chios, Lesvos. 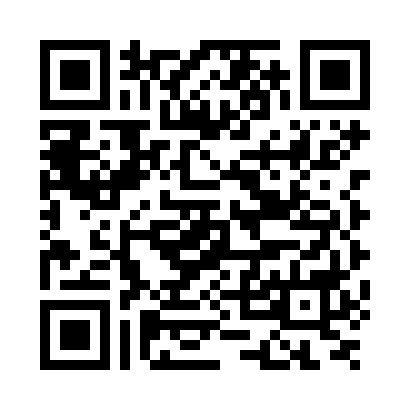 All ferry companies online booking system ! SUPER OFFER for Camper/Caravan owners and their family OR Family + Car. Book Now, Pay When You Stay ! Greece Rhodes and Kos to Turkey Bodrum, Marmaris, Gokova, Dalyan, Datsa. 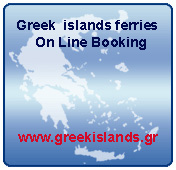 Greekislands ferries (Domestic Ferries) online booking - click here ! Piraeus (Athens), Santorini, Ios, Paros, Naxos, Syros, Tinos, Mykonos, Ikaria (Evdilos), Samos, Chios, Mytilini (Lesvos), Fourni, Samos (Karlovasi & Vathi), Limnos, Kavala. - Poros, Hydra, Hermioni, Spetses, PortoHeli. Mykonos, Paros, Naxos, Ios, Santorini (Thira), Rethimno (Crete), Heraklion (Crete). Piraeus (Athens), Sifnos, Milos, Folegandros, Santorini, Ios, Naxos, Mykonos. Piraeus (Athens), Paros, Naxos, Mykonos, Tinos, Rafina (Athens), Andros. Piraeus (Athens-Greece), Syros, Mykonos, Ikaria, Samos, Chios, Mytilini (Lesvos). Rafina (Athens) to Tinos, Mykonos, Paros, Naxos, Ios, Santorini. Heraklion (Crete), Santorini (Thira), Ios, Paros, Mykonos. Piraeus (Athens) to Milos, Folegandros, Syros, Santorini, Koufonissi Amorgos. Piraeus (Athens), Mykonos, Naxos, Santorini (Thira), Ios, Folegandros, Milos, Sifnos, Serifos, Sikinos, Kimolos. Rafina (Athens), Andros, Syros, Tinos, Mykonos, Paros, Naxos, Koufonissi, Amorgos (Katapola). Greece, Italy, Albania, Turkey, France, Spain, Sicily, Sardinia, Tunisia, Morroco, Crete and Greek islands. Over 60.000 Greek ferry sailings monthly! Airlines ticketing, Charter airlines ticketing, Railways ticketing, Excursions in Greece and Crete, Cruises in the Greek islands, Hotels, Apartments, Car Rental, Yachting. Fully updated databank available. 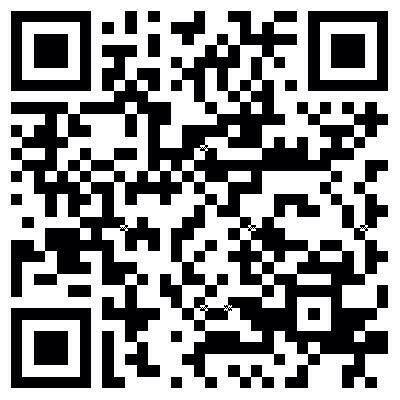 Make your reservation Online or by Fax. Copyright © 1994-2019 Paleologos S.A.. Shipping & Travel Enterprises.